One of the questions I’m asked all of the time is one which no one on this side of the Atlantic Ocean would ever expect, and that is, what are the legal requirements for business letterhead in the US? The answer is, there are none, usually accompanied by a vaguely perplexed look. That’s not entirely true, as I’ll discuss below, but it’s pretty darn close. But first, why the question in the first place? Perhaps unsurprisingly, Germany does regulate the content of letterhead, as do most European countries to one extent or another. Although the requirements differ for different types of corporations, German letterhead (Briefbogen) typically includes the company name and address, the court at which the company is registered, the company’s number in the corporate registry (Handelsregisternummer), and the managing directors or officers of the corporation. Germans also typically include their complete banking information, including the IBAN or similar bank number and account. In the US, in contrast, letterhead is typically limited to the company name, address, phone numbers, and website address. personalized letterhead may also include an e-mail address or other contact information, and occasionally letterhead will include a slogan or information about the company’s productions. That’s typically it – no additional information is required or expected. In fact, you can leave most of that information off if you really want, although it may not make as professional an impression. While not a requirement under the law, it is advisable for companies to include their full legal names somewhere on the letterhead, including “Inc.” or “LLC” or whatever, to clearly indicate to the recipient of any correspondence that they are dealing with a limited liability business entity. Certain industries include additional information by custom (e.g., law firms include the names of partners in the partnership), but that’s not a legal requirement. It’s also important that the letterhead not be deceptive – while you don’t have to include any particular information on your letterhead, the information you choose to include should be accurate and clear. So, to be clear, you do not need your EIN (tax number), directors, officers, or bank information on your US letterhead. In fact we recommend against it, because that’s just information that scammers can use to try and social engineer their way into your company bank account. 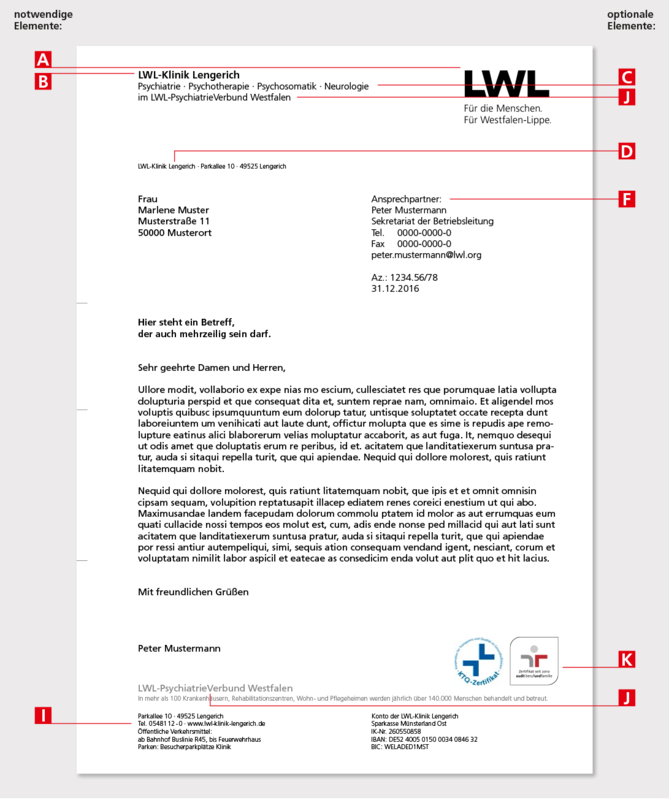 For more information about German letterhead requirements, see this summary from the Hamburg Chamber of Commerce (in German) or shoot us an e-mail. Do I really have to worry about the new European privacy rules? Is it finally time to pay attention to European efforts to regulate privacy? At least according to pwc, the answer is yes. The GDPR has the effect of law, without the need for individual (and often inconsistent) country legislation. All businesses which “target” EU nationals are subject to the regulation, no matter where they are based. The fines have been increased significantly and can be tied to worldwide revenue, to ensure that they are meaningful for even the largest of companies. Do you have assets in Europe? As already noted, you should be GDPR compliant unless you’re willing to kiss those assets goodbye without compensation. Do you have personnel in Europe? Even with limited assets on the ground, you need to consider the risk to your employees, and the subsequent risk to your company if they are penalized and decided to sue. Is the European market is important to you, or is it expected to be important to you in the future? Obviously, an adverse judgement in the EU could result in loss of any European-based revenue, to say nothing of the loss of customers due to bad publicity. Notwithstanding the hype, companies with no footprint in Europe and minimal aspirations of success in the European market probably have little to fear from the GDPR. That being said, given increasing concern over privacy on this side of the ocean, even those companies may want to consider implementing some of the GDPR requirements, to minimize any penalties and to make compliance easier if and when it becomes necessary. Besides, better privacy practices may well make business sense for a lot of US companies. It’s like the Hotel California, you can subscribe any time you like but you can never leave. It’s not often you start the morning with an international legal dispute, and that before one’s morning coffee. This morning, from the kitchen, I was treated with the dulcet tones of my wife arguing with the London Times about cancellation of her online subscription. It turns out they only accept cancellations from the US via passenger pigeon on odd Tuesdays which have a full moon, and then only when written in the blood of a recently slain unicorn. Ok, not really, but as we haven’t actually figured out how one successfully cancels a subscription, that may in fact be the cancellation policy. Pro tip – don’t subscribe to the London Times. Anyway, the interesting thing about that kerfuffle is the degree to which the average consumer worldwide is entering into contracts with companies in other countries, ostensibly under the laws of those countries. As consumers, however, those individuals remain protected under the consumer protection and other laws of their respective countries (or, in the case of the US, an odd patchwork of federal, state, and local laws). As a result, even as simple transaction as a newspaper subscription or Facebook registration can give rise to significant legal cases with an international impact. Many of those cases involve privacy and the EU-US privacy shield. Europe isn’t alone in its concern for the privacy of citizens, however, with a new decision extending the protections of Canadian Privacy to data disseminated outside of Canada (hat tip to Daniel Solove). While the US doesn’t really care as much (or perhaps at all) about privacy, there are laws like the Speech Act which attempt to protect US residents (in this case writers) from the effects of foreign laws which are against US public policy (in this instance, the right to free speech). There are a host of other issues which arise from these contracts, however. Do companies like the Daily Times understand and follow US legal requirements like the Fair Debt Collection Practices Act or, in the case of selling (and upselling), the Telephone Consumer Protection Act? Even if they do, how does one collect a relatively small debt in a foreign country in an efficient and cost-effective way? In the other direction, Europe has extended its controversial “right to forget” worldwide, creating a compliance nightmare for Google and other big US tech companies, and an unresolved conflict for others without as much skin in the game in Europe. The Internet makes international business possible from your kitchen table. What that means for public policy and protection for the consumer remains largely unresolved.